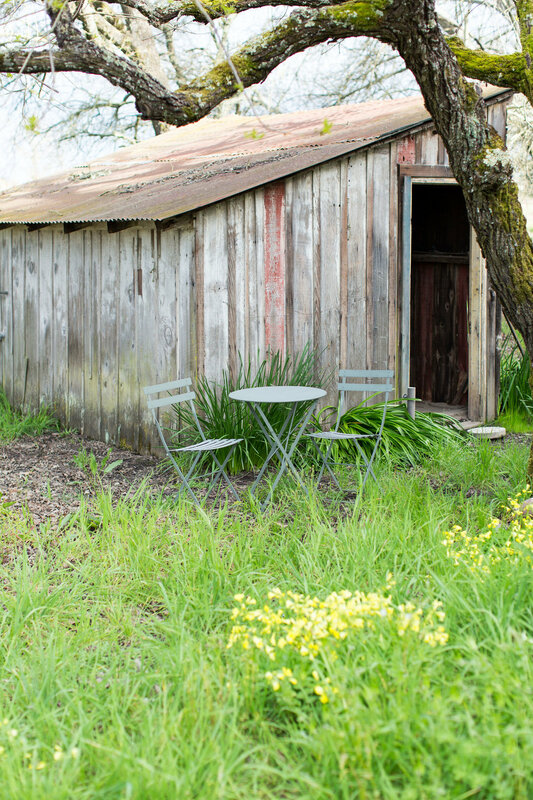 Now that spring has finally arrived, we find ourselves taking every opportunity to breath in all the fresh air, dine outside and relax in the garden. 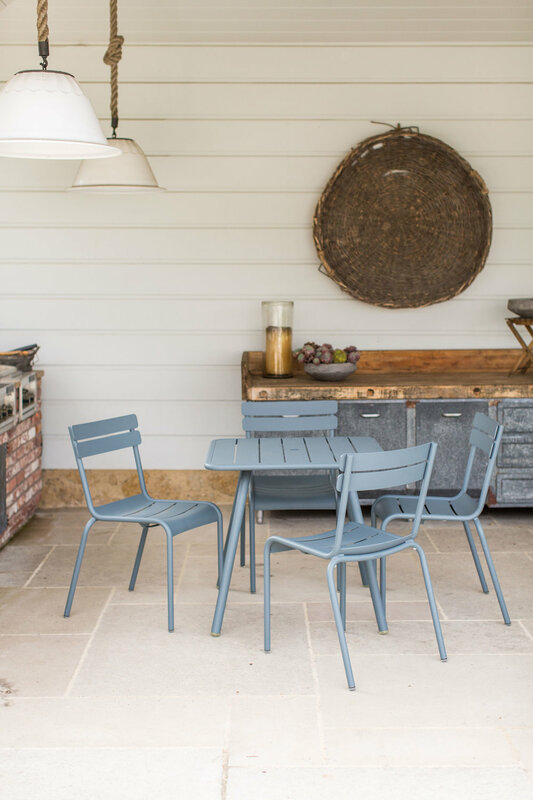 From simply sitting and soaking up the sunshine to hosting an outdoor dinner under the stars, time spent outside in the warmer months just wouldn't be complete without our favorite French patio furniture from Fermob. Chances are you’re likely already familiar with Fermob patio furniture – consisting of iconic designs that can be seen in gardens throughout Paris – and we are so glad to carry our favorite Fermob pieces in store so that you can bring a little bit of France to your backyard. One of the many reasons we love the French lifestyle is because of their ability to take time out of a busy day to just sit back and relax in a café or city park, so it is not so surprising that the French invented the bistro chair in 1889 to do just that. Soon after they were created, bistro chairs appeared up and down the River Seine and in parks and cafés all over Paris. Because they are lightweight and easy to store, they made for the perfect furniture piece for flourishing sidewalk bistros and for other food vendors who didn’t want to pay a tax for a fixed terrace space. They are now iconic and seen throughout the world! In years past we carried vintage bistro chairs with wood slats that would unfortunately break down over time from rain and sun. Because of this, we decided to go on a mission to find a solution for our customers and their outdoor spaces. With designers who create innovative, practical and fun outdoor pieces, Fermob products are truly top notch. Not only does Fermob craft sleek contemporary pieces as well as more ornate, whimsical items modeled on classic forms, they also always ensure quality. They are always making improvements when needed, and each piece is personally inspected and signed off by a Fermob expert before it is shipped. In addition to beautiful design and great quality, Fermob is brilliant with color to add to the whimsy. They have 23 colors that are created with nature as their ultimate inspiration and that is why every color seems to work in the outdoors. The hard part is picking one you like best because they are all gorgeous! 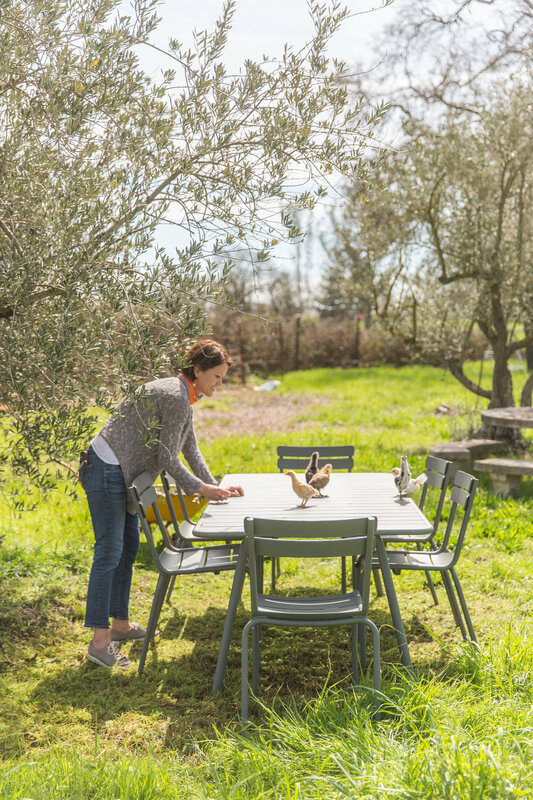 As a leader in outdoor furniture sustainability, each piece of Fermob furniture is recycled and completely recyclable, from the metal frames to the powder-coat finishes and even their PVC-coated polyester outdoor technical fabric (OTF). Nature's been good to Fermob, so Fermob is good to nature. They have also been awarded Gold Exemplary Recognition by the Sustainable Furnishings Council for it deep environmental commitment and exemplary implementation of a range of best practices for sustainability. We are over the moon when we find companies that take care of our planet! Last, but certainly not least, Fermob seeks to promote the “outdoor lounge” way of life encouraging outdoor lounging and relaxation–creating spaces in nature for people to gather together and share in the Joie de Vivre. Have we mentioned we really love this company? If you are searching for the perfect French patio furniture or garden lounge furniture, we know you will love Fermob as much as we do! We have many colors and varieties in stock at Chateau Sonoma, but are also happy to custom order pieces specifically for your home. Stop by and see us soon to take a peek at these gorgeous pieces and maybe even take home a few to add to your backyard!